Add 37 per night for sole occupancy of a double room. British Airways Heathrow to Paris CDG 07:15/09:35 then rail Paris Bercy to Auxerre 12:33/14:20, transfer to hotel 10 minutes. Transfer to station 10 minutes then rail Auxerre to Paris Bercy 11:43/13:27 then British Airways Paris CDG to Heathrow 16:35/16:55. This hotel was originally a maison bourgeoise until it was converted into a hotel by an ex-patissier! It has now been in Mme Ramise's family for over 45 years. The hotel only provides breakfast, although a la carte room service is possible (very reasonably priced and a good selection of hot and cold dishes). However, it's fun to explore the lovely town of Auxerre and there are plenty of good restaurants in all price ranges within 5-15 minutes walk. There's a public swimming pool in the town and a sauna at the hotel (approx 7). There is a secure closed garage behind the hotel (5 per day) or free parking in front (ask at reception). The Relais St Vincent offers 15 stylish, comfortable rooms, with en suite bathrooms, television and telephone. A former coaching house, it offers superb food in a beautiful dining room with thick wooden beams and chandeliers. The Auberge de la Beursaudiere, formerly a farm building and before that a priory offers individually decorated rooms that take their name from traditional professions including La Coutiere (seamstress), La Dentelliere (lacemaker) and Maquignon (horse-dealer). The restaurant offers regional cuisine that changes according to the season. This is one of France's prettiest mediaeval cities, on the banks of the Yonne, and your base for tonight. Here you'll find two Gothic churches: the Cathedral of St-Etienne (C13 and C16 with magnificent stained glass windows) and the Abbey of St-Germain (C13 and C14 with C19 crypt). Leaving Auxerre, it's flat gentle cycling along the River Yonne and through the forest of St-Germain to Seignelay (scene of the C8 defeat of the Saracens); here you'll find castle remains, a fine market hall and pretty views over the Serein. Head via the magnificent abbey at Pontigny (which gave sanctuary to Thomas a Beckett) to Ligny-le-Chatel. Originally this was the Roman Lanniacum Castrum; later, Marguerite de Bourgogne lived here. See the Church of St Peter and St Paul (Romanesque on the inside, Renaissance outside). 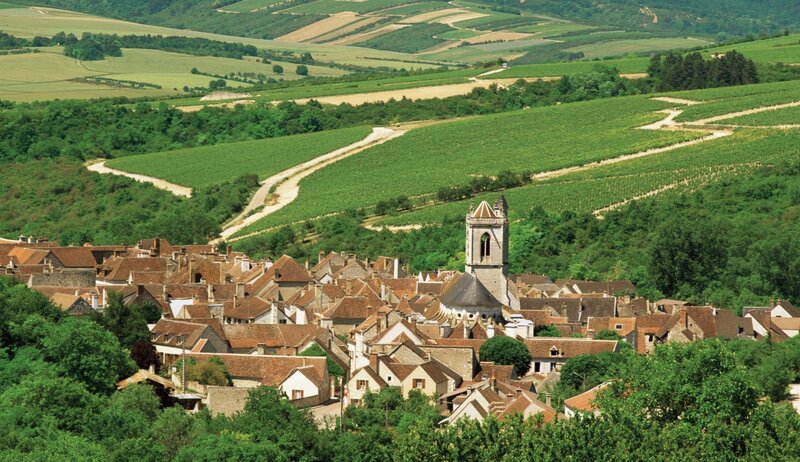 It's just a 10km cycle to the small village of Chablis, almost entirely given over to the production of the world's most celebrated white wine. There are masses of tasting opportunities here, and don't forget - we can pick up any purchases for you with the Headwater Wine Service. You may also visit Pontigny, reputed to be home of the greatest Cistercian abbey in the country. Cycle along country lanes to Chablis, surrounded by its famous vineyards and with plenty of opportunities for wine testing. Continue on through the Serein Valley before heading west to Nitry. 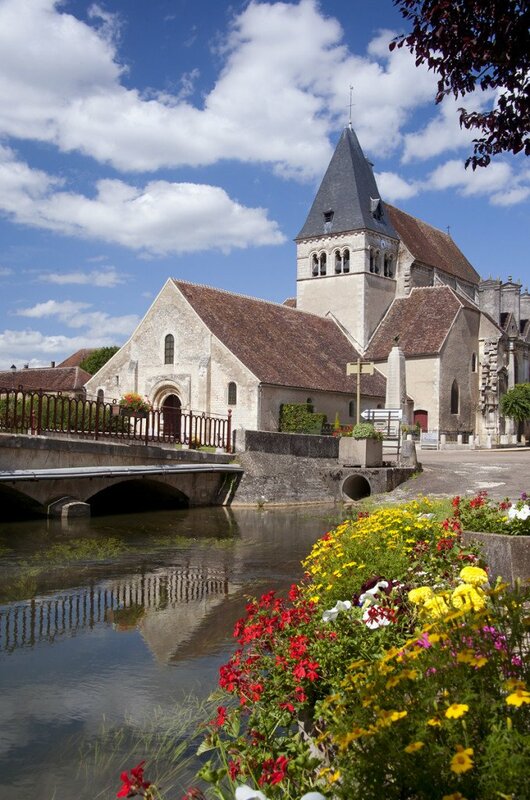 Medieval Noyers-sur-Serein is a 10km cycle ride away. Officially one of the most beautiful villages in France, discover its half timbered houses, cobbled streets and ancient towers. Pedal to Cravant, then follow the towpath towards Auxerre and picnic on the banks of the Yonne. Head to the amazing Bailly wine cellars where Cremant sparkling wines are made, before returning to historic Auxerre, with its abbey, cathedral, shops and superb indoor and outdoor swimming complexes.